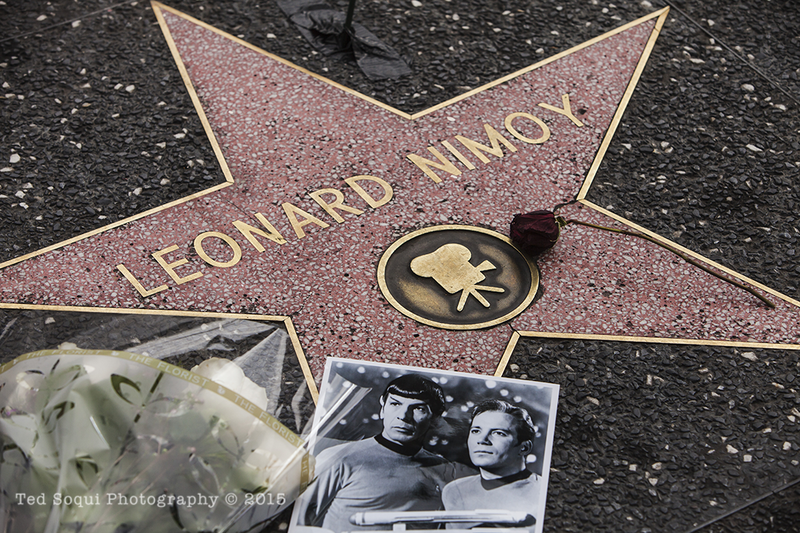 Flowers were placed at Leonard Nimoy's star on the Hollywood Walk of Fame today. Leonard Nimoy passed away earlier today from complications due to COPD. He tweeted his fans a last message last night that read "A life is like a garden, Perfect moments can be had, but not preserved, except in memory. LLAP"